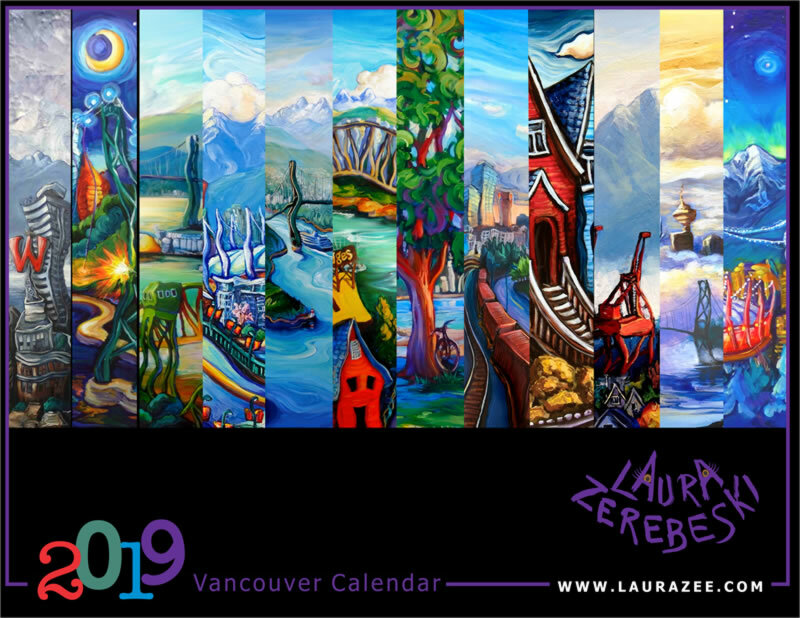 2019 Vancouver calendars are available. I have two sizes at my studio: large (8.5″ x 11″) and small (6.5″ x 8.5″). They’ll also be available at the York during the Panto run and one of these days I’ll figure out how to sell them online. I would love to buy one of your calendars. Where can i get this if I live on the north Shore. Also I would be interested in seeing your original pieces. I was at the Ivanhoe yesterday and fell in love with your work. It reminds me of Van Gogh and Emily Carr. If you feel like coming back to the Ivanhoe, I’ll be there for the East Side Culture Crawl on Nov. 21 from noonish to 6 pm with a few original pieces and some 2016 calendars, too. I’ll even throw in a fridge magnet. Otherwise, I’ve got some at my studio. Come visit!